Capsule Filling Machine (HAND OPERATED) This capsule filling performs a number of tasks that increases its demand in pharmaceutical industry. Semi Automatic Capsule Filling Machine consists of no. of plates for putting capsules by hand where as it also has function for removing caps of the capsules. Filling of powder in capsule is done by dispensing of brush pressing and after that fixing of caps is done. Carom M.S body and all leavers. Stainless steel compressing pins plates for filling the capsules. All capsules touching parts in 304 stainless steel. Easily lock the capsules remove the cap. 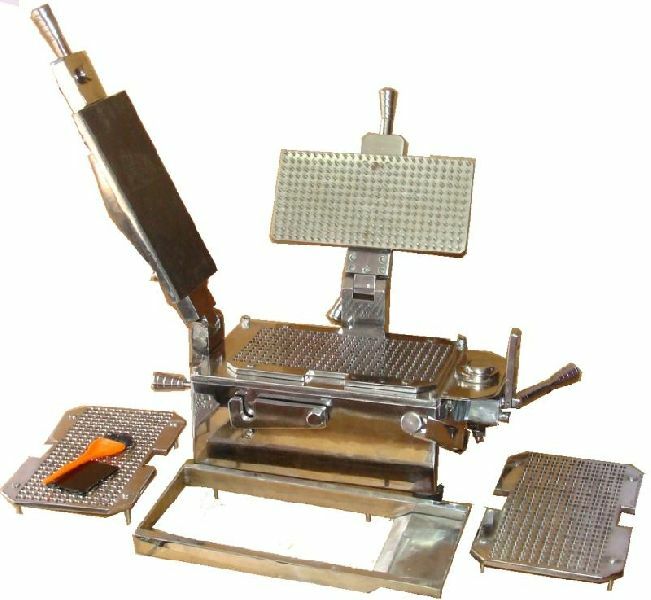 Filling tray and brush is provided with machine. Model is available in stoke 0 number capsule for 500mg Change part is also available.